"In December 2014 I moved from Hull to London to join my now Fiancé. We rented a flat for the next few years and for those few years dogs where not a part of our life, until we could finally afford our own place in May of 2017. As soon as we moved into our flat I joined BorrowMyDoggy. After very little searching I found Truffle, the adorable miniature dachshund owned by Denise and Paul. We met for a walk around the local common, and I promptly fell in love with the adorable Truffle. From then on we've enjoyed wonderful Sunday walks, cosy Saturday night sleepovers and an abundance of sofa days. I've developed a wonderful relationship with Truffle as well as his lovely owners Denise and Paul. To my joy this weekend provided the best surprise yet. Unbeknownst to me, my now fiancé had contacted Denise and Paul to arrange a very special mission. They tied a box, containing a beautiful engagement ring to the back of Truffle. I didn't even know that Truffle was coming round and before I knew it, he was trotting up to me carrying the most wonderful thing. Of course I said yes, and for me that was the best proposal ever!! 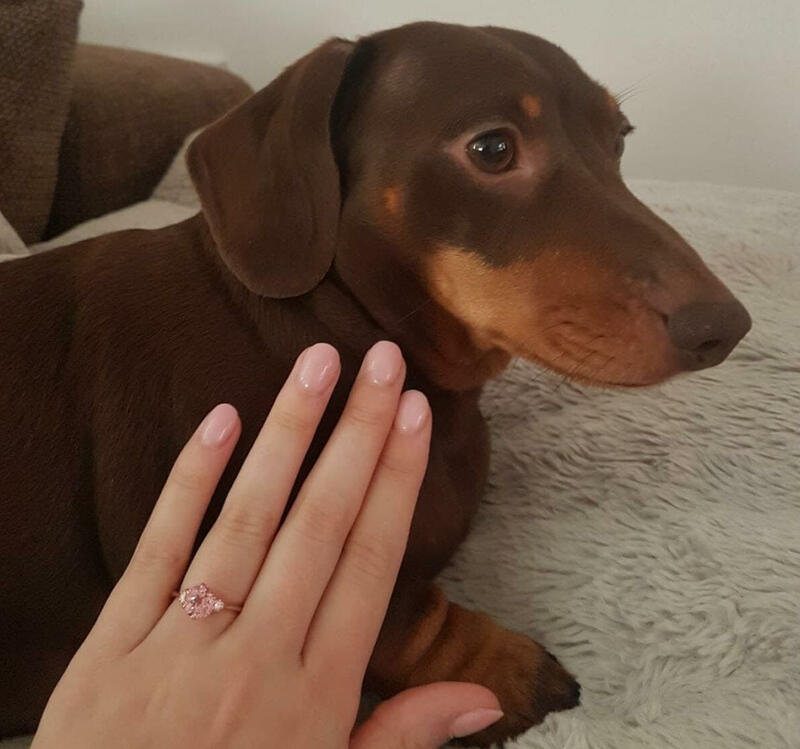 I'm so thankful for BorrowMyDoggy, without which I wouldn't have met Truffle, Denise or Paul and I wouldn't have had such a wonderful proposal." - Sarah, Truffle's borrower.